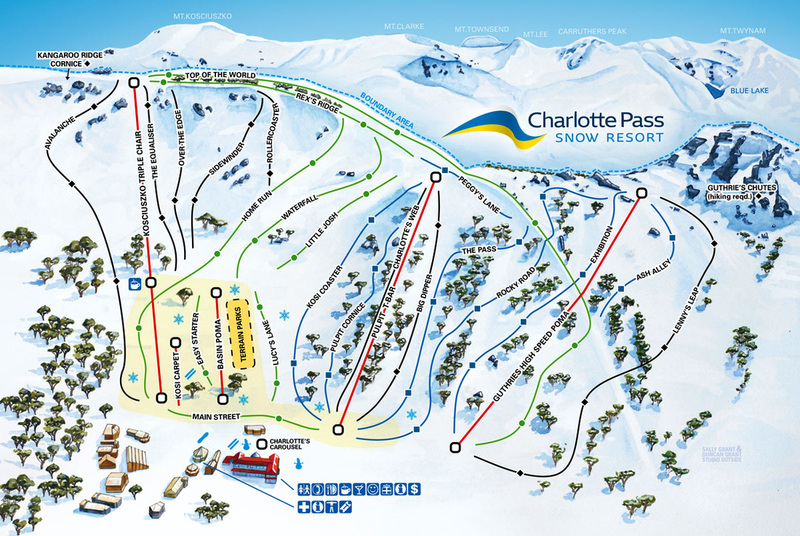 Shows runs off two Pomas and the new 'worlds longest chairlift' which was actually two lifts with a restaurant where they joined. 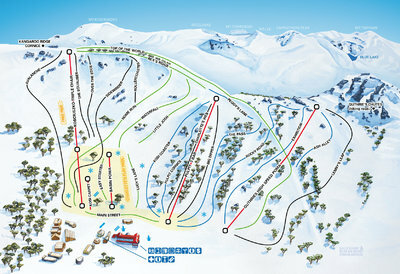 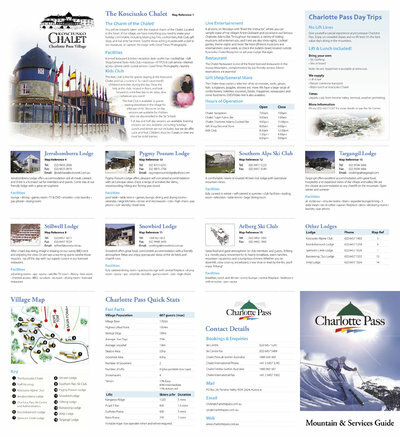 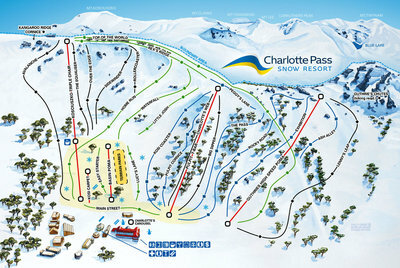 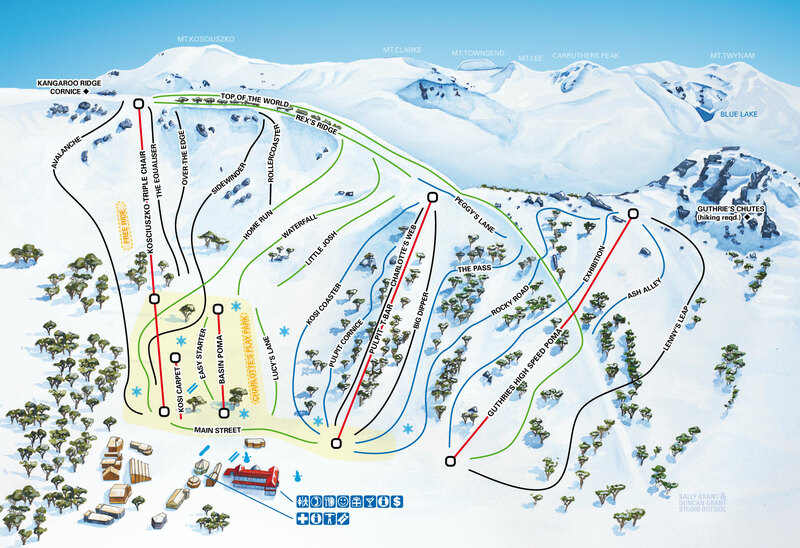 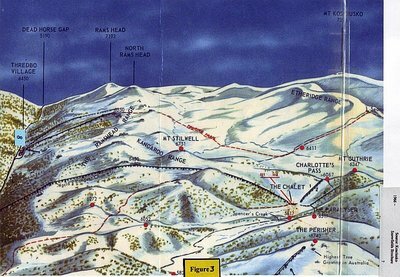 Route of the Charlotte Pass to Thredbo Valley chairlift. 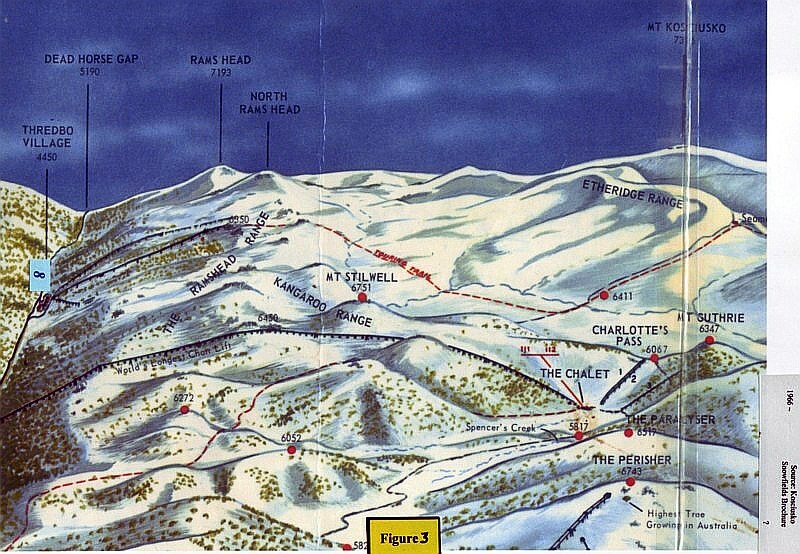 Claimed to be the longest in the world when built.